With school starting in a month, lunchboxes and backpacks are on many shopping lists lately. If you are still in need of the lunch box check out the deal Tanga is running for the next 24 hours. 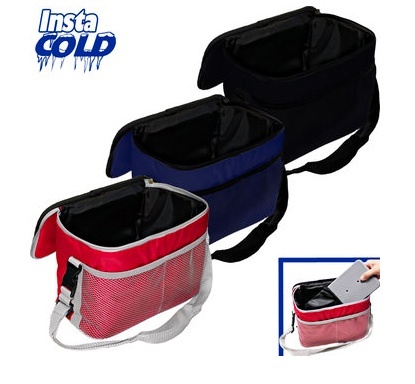 It’s a Fridge To Go Lunch box that cools your food for up to 12 hours. It has special wafer thin gel packs that slip into the walls of of the lunch box so that you aren’t comprising space for coldness. When you are done eating it folds flat for storage. They have two sizes, a large bag for $8.99 that can hold 12 cans, or a small bag that can hold 6 cans for $5.99. The fun part of the deal, you can buy up to three and only pay shipping for one.